Five men who were found guilty of wildlife and animal cruelty offences have today all been sentenced to the maximum term of six months in jail. 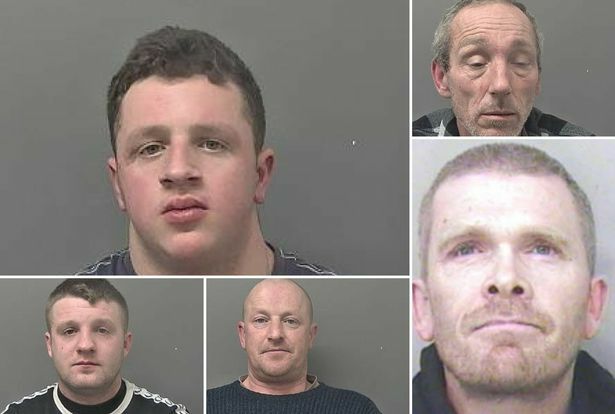 The men were found guilty of the offences when they appeared in court in December 2018. They were sentenced following an investigation into digging into a badger sett at Melton on December 30, 2017. The first officer to arrive at the scene was PCSO Steve Lynch – hear his interview about the result of this court case in the video above. They have each also received three year Criminal Behaviour Orders (CBOs), a £2,000 fine and are all banned from keeping animals for ten years. Wildlife and Rural Crime officer Brandon Ward spoke after the sentencing today. He said: “This is a very good result for the Wildlife and Rural Crime team who have worked really hard to gather evidence and to bring this case to court. The judge had at his disposal the option to sentence each of the men to a maximum of six months in jail and the result today proves how appalling this case was. The four dogs found at the scene and the one year-old puppy born shortly after have been forfeited and they will now be rehomed to have the “loving, caring environment they deserve”. One dog, Paddy, was seriously injured and was lucky to survive. A second dog, Dizzy, was heavily pregnant when she was seized and gave birth to a puppy, named Romeo, who is now one year-old. Two other dogs, Charlotte and Jess were also seized. All five dogs have been kennelled and have responded well to the care and attention they have received. Warning: Some may find the images in the video above and below distressing. Mr Ward said: “Badger digging is barbaric and cruel and involves horrific suffering to both the badger and the dogs involved. “These dogs will now be able to be re-homed and have the love and care that they deserve. It is in their nature as terriers to enter holes but what these men made the dogs do is almost indescribable. “Paddy nearly died from his injuries but he needed a lot of vet treatment. 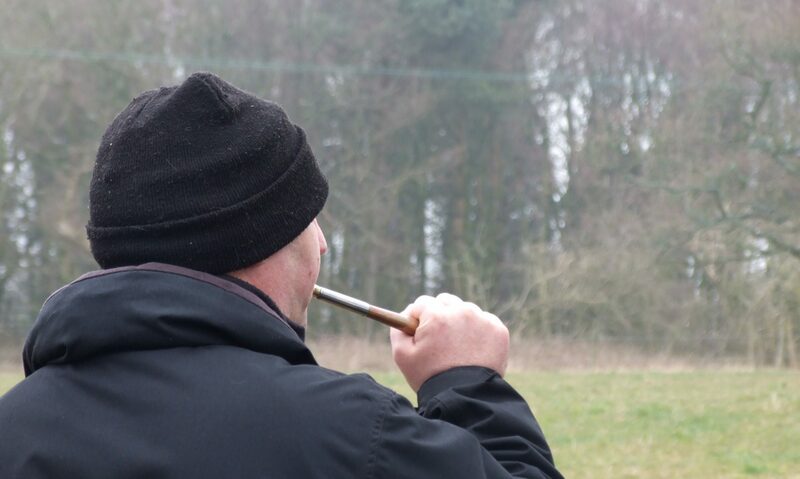 Sally Robinson, from the CPS, said: “It’s clear from the evidence presented to us by the police that these men were openly engaged in a well-planned badger baiting exercise. One defendant was caught red-handed in the act of digging as the police arrived. “An independent wildlife expert has confirmed that the area was an active badger sett. “The netting was placed over alternative exits to prevent the badgers from escaping, digging equipment was found at the scene, and the dogs were found to have facial injuries consistent with having had a fight with a badger. They were all treated by a vet. On the afternoon of December 30, 2017, a concerned member of the public reported to the police that five men with dogs were digging into a badger sett at Melton. A number of officers including several wildlife crime officers quickly attended the location and found four men continuing to dig into what appeared to the officers to be an active badger sett. The men claimed that two of their terrier dogs they had been using to catch rats had run away and entered the holes. They denied knowing it was a badger sett and stuck to their story throughout the investigation. Kirk McGarry, Richard Willey and both George and John Horner were arrested at the scene. Andrew Booth was later identified as having been at the scene, having run off on seeing the officers approaching. The men had four terrier dogs with them, two of them, Paddy and Dizzy had entered the badger sett. They emerged the next day with serious injuries inflicted to their muzzles consistent with injuries caused by a badger defending itself. The two dogs were also wearing locator collars which are used to locate the dogs underground once they have made contact with a badger so that both the dog and badger can be retrieved from the sett. Two other younger terriers were also present but appeared not to have entered the sett. All of the dogs were safeguarded and have been housed in police kennels until the trial took place. These offences are contrary to the Protection of Badgers Act 1992 and the Animal Welfare Act 2006.